As a day 1 Cole fan I got excited when I found out this album was coming out. After watching the 'documentary' for the album I concluded it was going to be a personal album and I hoped it would be as lyrical as the mixtapes i.e Warm Up and Friday Night Lights. 2014 Forest Hills Drive is a classic album to me. I can't decide a favourite song but if I had to it will be either 'Apparently' or 'Love Yourz'. A week after its release it is possibly the most played album on my phone/computer. I don't want to go into detail of what every song is about but its an album worth listening to. I really hope this album goes platinum because Jermaine deserves it and I hope there's a worldwide tour coming soon (and I get to meet him). Maybe I'm obsessed with Jermaine or it's his music, all I know is I want more personal and lyrical music from him. 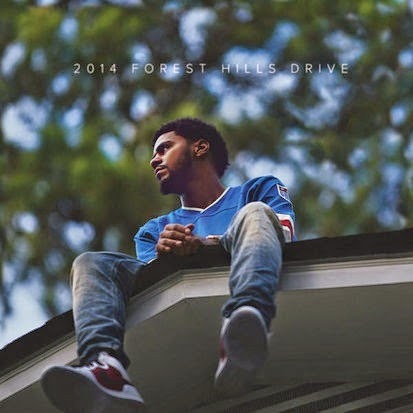 #ColeWorld #2014ForestHillsDrive!! in Italy isn't famous!! !I need to have a listen!! What a great post!!!! Would you like to follow each other on GFC?! Let me know and follow me on my blog, I will follow you right back on both GFC and Bloglovin! Thank you... I love your blog!! I heard it was dope and lyrical. I will cop it this week. Happy Holidays. Hope you like it.... Happy Holidays!! I didn't know him, sounds great! Nice! Have a great 2015! Thanks, Have a great year too! Albums Of The Year: Part 2! !